It’s now December and the roses in the garden are still in bloom and will stay in bloom till it snows or we get heavy frost. Are your annuals or perennials still blooming? Annuals bloom all summer long and then die. Perennials only bloom once for maybe a couple of weeks, a month at the most and then retire till next year. When most plants have finished blooming, roses are still blooming. I am lucky to be living in a warm part of the country. I can have roses from my garden on Christmas. Everytime I go out the back door, I can smell the sweet fragrance of my Blush Noisette roses wafting in the air. All around my development, KnockOut Roses are all blooming in profusion. My mums have died. They are all brown and yet they are supposed to be a fall flowering plants. My lilies and daylilies are done for the season. The annuals are gone except the cold loving pansies which are now back in the garden. If you want to save money, you should start paying attention and grow roses. You get your money’s worth. New annuals have to be planted every year, sometimes twice a year. Perennials bloom for a short time and so does some shrubs. If you keep on pruning roses all season, they will bloom constantly with the exception of few Old Garden Roses that bloom only once but they bloom profusely in spring. Roses repeat blooming every 4 to 6 weeks depending on the variety. So what are you waiting for? 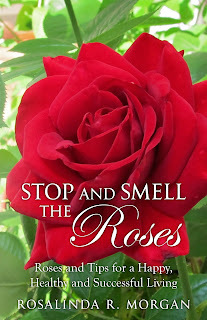 Grow some roses, save some money and enjoy your garden.